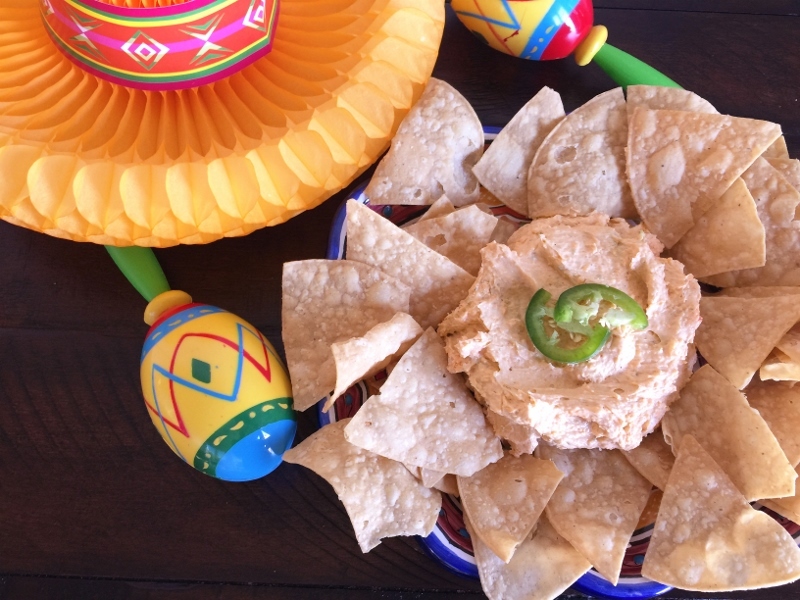 Whipped Queso Dip - Recipe! - Live. Love. Laugh. Food. There’s a restaurant chain here in Southern, CA called Bandera and they have the best cold Queso. It is lightly spicy, but not overly hot with a creamy texture and served with crunchy tortilla chips and a side scoop of guacamole. 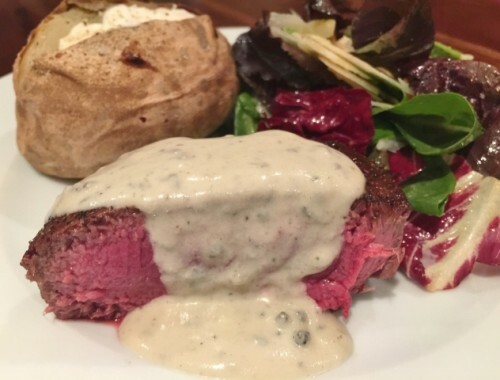 I literally can’t stop thinking about it most days, so I thought I would make my own at home. 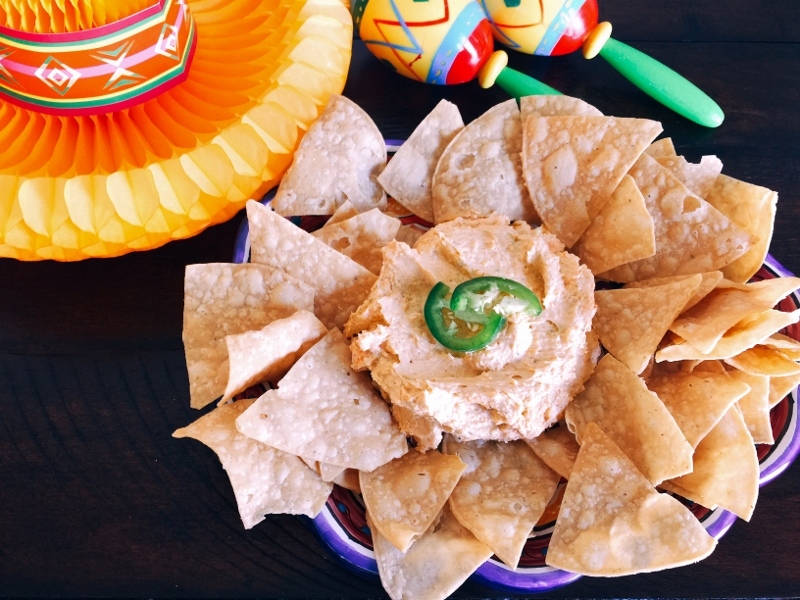 My version of this spectacular dip – Whipped Queso Dip has two kinds of cheese, a jalapeno and a dash of hot sauce. 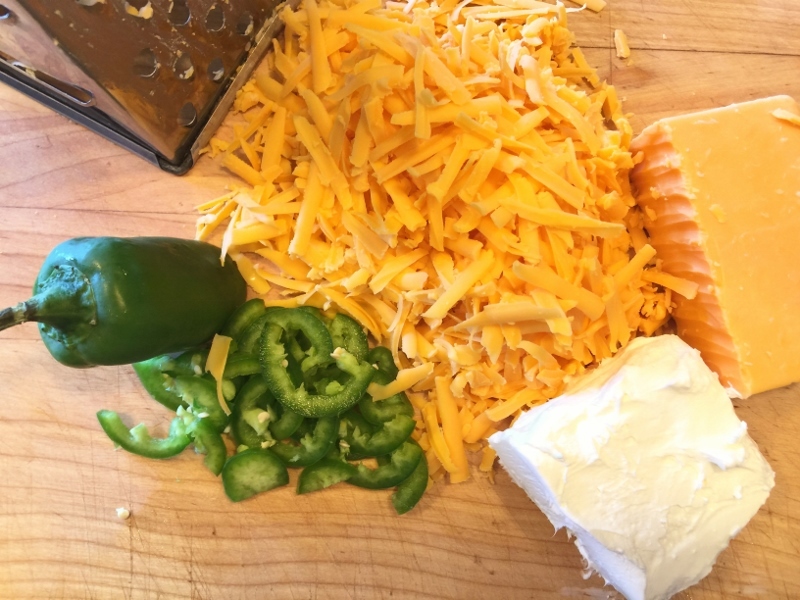 The prep is easy, my only suggestion is please grate your own cheddar cheese and don’t buy that tasteless pre-shredded stuff, it really does make a difference. You can serve this with restaurant style tortilla chips or carrots & celery, but come on, if you are indulging on queso – go with the chips. 1. Slice the jalapeno and remove the cream cheese from any packaging. 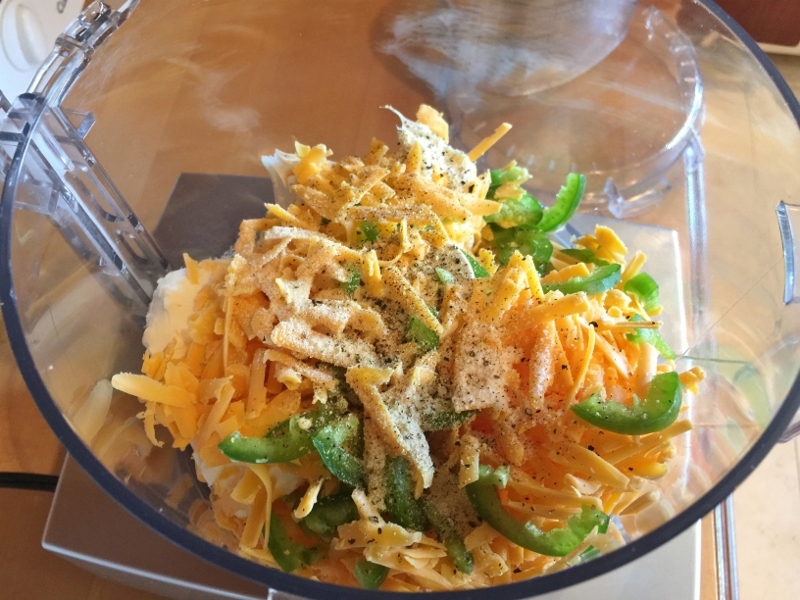 Place all the ingredients, except the hot sauce in a food processor. 2. Puree the cheese mixture until almost smooth, about 1 minute. 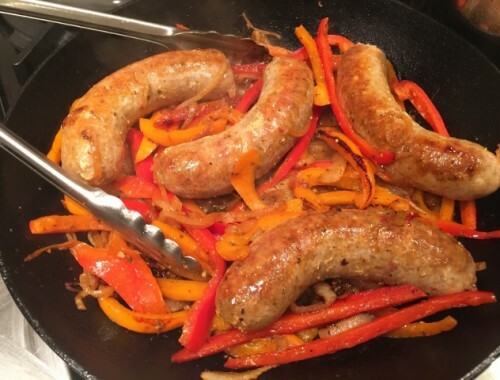 Add the hot sauce and puree again for 30 seconds. 3. Spoon on a serving platter and serve with your favorite tortilla chips and maybe a skinny jalapeno margarita. Enjoy! 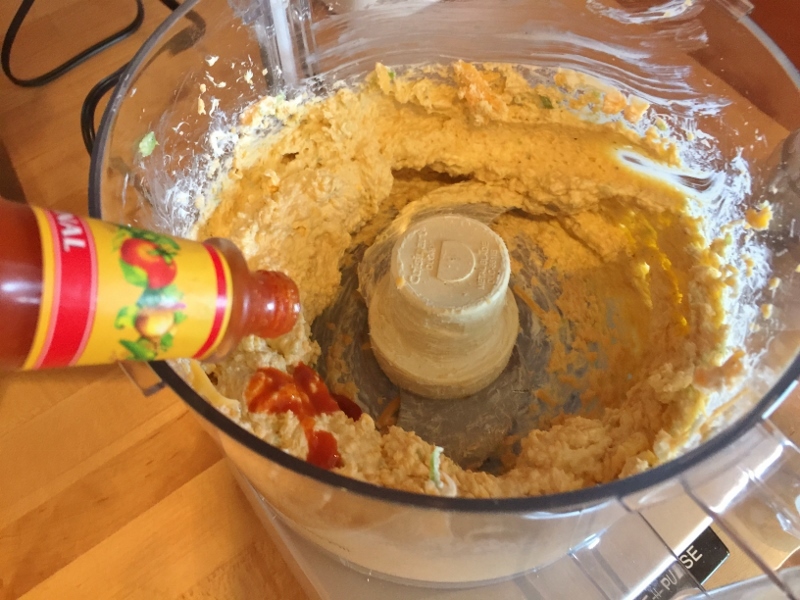 Cold Queso Recipecooking with Gena BellEasy Dip RecipesHow to Make QuesoMexican DipsMexican FavoritesWhipped Queso Dip - Recipe! 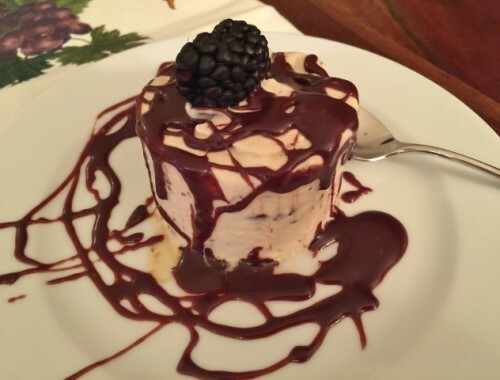 Individual Chocolate Espresso Semifreddo with Hot Chocolate Sauce – Recipe!